PERFECT FOR LARGE FAMILY - This beautiful 3 bedroom 2 full bath home has 1404 sq ft and sits on a 7018 sq ft lot. 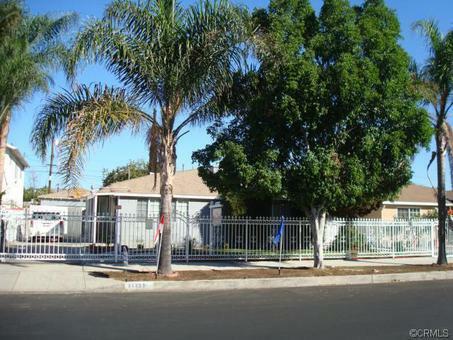 It has a nice gated front yard and large private back yard with fruit trees. This home has dual pane windows throughout, central heat and air, roof is 7 years old, new interior paint, both bathrooms have travertine on the floors and walls. It has a bonus room that could be used as a 4th bedroom or a den. It has new kitchen cabinets with granite countertops and has new appliances. It has a dining/breakfast room off the kitchen and has recessed lights in kitchen and living room. It has a detached garage which has been converted. Lots of parking and a great neighborhood, close to everything. WILL NOT QUALIFY FOR FHA. Should sell fast, seller will look at all reasonable offers.